Zinc sulfide (ZnS) was deposited on silicon (100) and glass substrates for 4 hours at vacuum pressures of ~10-3 and 10-5 mbar via femtosecond pulsed laser deposition (fs-PLD). The deposited samples were then annealed at 300ºC and 500ºC inside a tube furnace. Scanning electron microscopy (SEM) was used to characterize the samples and determine their surface morphologies. The SEM images show that for ZnS deposited on silicon (100) and glass substrates at around 10-5 mbar, post-deposition annealing smoothens the deposited sample. Furthermore, for ZnS deposited on silicon (100) substrates, the grains became more uniform and increased in size (from 1.26 µm to 2.53 µm) with annealing temperature. On the other hand, for ZnS deposited on glass, the average grain size decreased from 2.18 µm to 0.70 µm as the annealing temperature was increased. The SEM images for samples deposited at around 10-3 mbar and annealed at 300ºC showed a smoother surface for ZnS on silicon (100) substrate compared to ZnS deposited on glass with average grain sizes of 1.67 µm and 2.46 µm, respectively. J. J. Miranda, J. de Mesa, and W. Garcia. 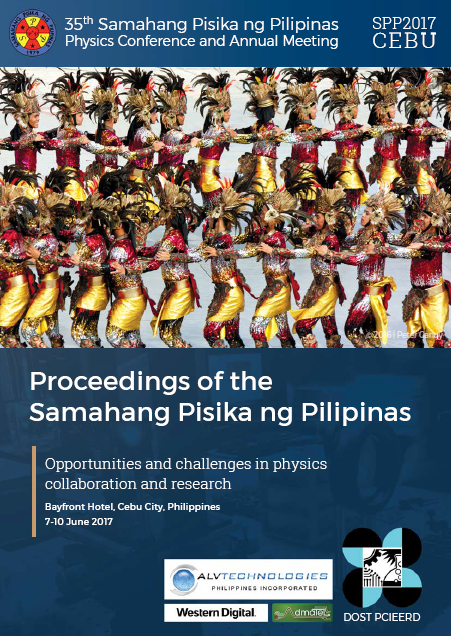 Effects of post-deposition annealing on the surface morphology of femtosecond pulsed laser deposited ZnS on silicon and glass substrates, Proceedings of the Samahang Pisika ng Pilipinas 35, SPP-2017-2D-02 (2017). URL: https://paperview.spp-online.org/proceedings/article/view/130.